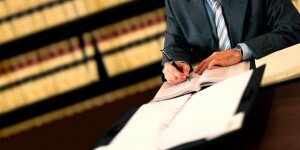 Good Family Lawyer | Law Offices of David M. Brandwein, P. A. Knowing how to find and hire a good family lawyeris one of the major steps to take in order to secure the best legal representation when needed. Understanding the kind of qualities you ought to be looking out for is the first of several other steps to hiring an attorney. Hiring a competent attorney puts an individual at a significant advantage in a negotiating room or in a court room. A Lawyer That Specializes In Family Law; Most lawyers these days specialize in particular areas of law. To find a good family lawyer, an individual must find one that has specialized in family law only and is good at what he does. Perhaps, getting a professional referral would make things simpler. A Lawyer With Extensive Experience In And Out Of Court; Experience is undoubtedly important in the legal profession especially if it is coupled with the right skills. A Lawyer With Good Management Skills; Disputes arising out of family issues can be disastrous and only a family lawyer with the right management skills can handle the problems that may arise. A Trustworthy Lawyer – Someone who will take time to explain the process, and make you feel safe. An Honest and Affordable Lawyer – You can check online for lawyer reviews and ethical citations. Board certified and licensed – Don’t pay a dime before you make sure the family lawyer you are considering in an active member in good standing of the Florida Bar. One mistake that people often do is searching for an attorney right when a family problem has already occurred. The best way to ensure that an individual does not end up selecting an incompetent lawyer is by looking for one early enough. Here are some of the steps to follow. Shopping for a lawyer may not be the easiest thing to do. The internet has however made things simple for many people. With just a click of the mouse, an individual is bound to have a variety of options to select from. Most lawyers put up their practice over the internet through their website to enable their clients reach them fast and conveniently. Furthermore, most local bar associations have a list of lawyers that specialize in family law. You can also ask your family member, colleagues or friends about a family lawyer that they know and trust. Lawyers can sometimes be expensive. The best thing one can to ensure that he selects the best lawyer for his situation is to inquire about the fee payable for the services that will be accorded to him. Let the attorney draw out a reasonable fee structure and explain how he has structured it. This will facilitate and simple and affordable fee agreement. The first meeting is always crucial. It is important to consider meeting up with several lawyers before settling on a particular one. This gives on individual the opportunity to analyze his options. A successful meeting is often accompanies by a list of questions and concerns that a client has to rise to ensure that he makes the best decision. From the first appointment, an individual can determine whether the lawyer before him is trustworthy, knowledgeable, and courteous with good management skills. The first meeting is always important when someone is wondering about how to find and hire a good family lawyer. After such meetings it would be possible to make an informed decision.